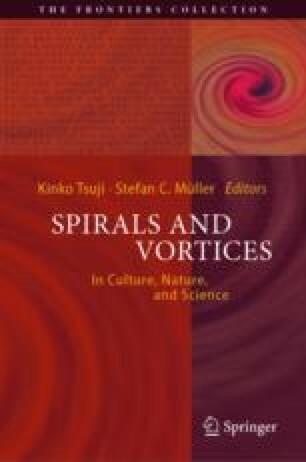 How do ordered structures like spirals cope with stochastic events? Several phenomena in chemistry and biology provide examples of excitable media and spiral pattern formation and are intrinsically stochastic. Here, we present a novel lattice-gas cellular automaton model for discrete excitable media. In this stochastic model, two discrete interacting biological species determine each other’s birth and death probabilities. We show that this birth-death process, coupled to a random walk, is equivalent to a classical partial differential equation (PDE) model of excitable media in the macroscopic limit, and able to form spiral density waves. Importantly, our cellular automaton model includes a parameter which defines the maximum local number of individuals and influences the onset of spiral waves. We find that small values of this parameter allow spiral pattern formation even in situations where the corresponding deterministic PDE model predicts that no spirals are formed, reminiscent of stochastic resonance effects.